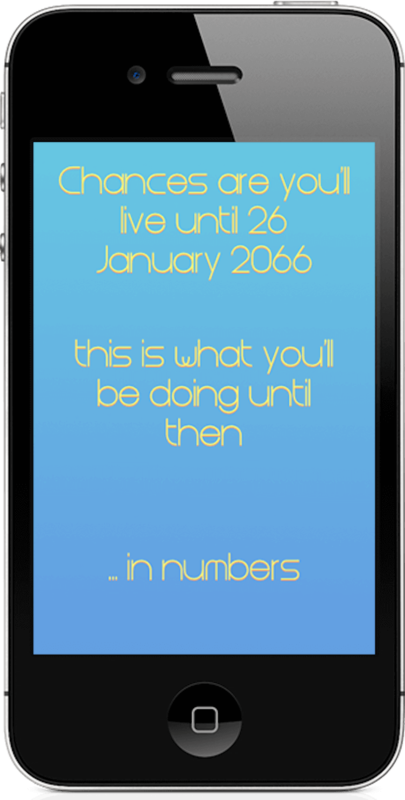 Life in numbers is unlike any other app in the app store. It gives you information about how you’ll spend the rest of your life. It takes a matter of seconds so why not give it a go and see what your life looks like in numbers. Based on hundreds of statistics from around the world you can put perspective on the events that occur everyday.